Concrete Theatre reaches its “Donate to Digital” goal. An eight-month effort has yielded the desired outcome: Concrete Theatre’s doors will stay open in 2013. Theater owners Fred West and Valerie Stafford learned last year that the movie industry was converting from film to digital-only format, forcing them to buy a digital projection system or close their doors. With help from a citizen-driven Fundraising Committee, the couple launched a drive to raise $50,000 by 2013. Fundraising events included car washes, a fashion show, and an art auction. 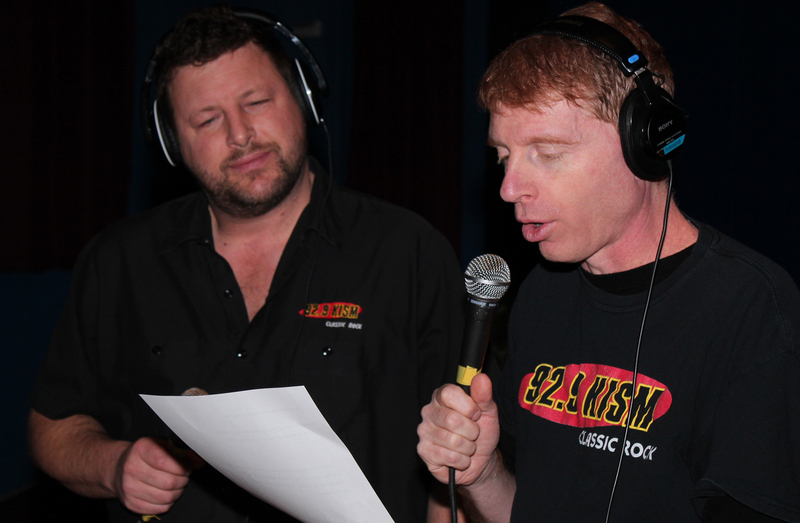 The effort culminated Dec. 14 with a KISM 92.9 FM live broadcast of the Brad & John Show from the theater, urging people to contribute to the cause. 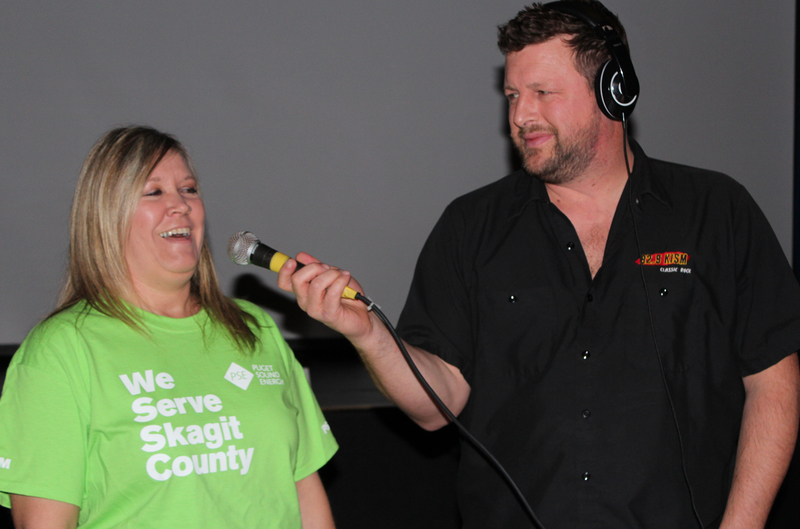 By noon the campaign had reached $53,508, including a $2,000 donation from Puget Sound Energy for a 3-D system. Brad Cash (left) and John Reynolds with KISM 92.9 FM broadcast live from Concrete Theatre Dec. 14. The pair came to Concrete to provide a final push for the theater’s “Donate to Digital” campaign to raise $50,000 for a new digital projection system. The morning broadcast was successful: By 10 a.m., the campaign had reached $53,508. Puget Sound Energy employee Pam Garland laughs while being interviewed by Brad Cash during the live KISM broadcast at Concrete Theatre Dec. 14. Garland brought good news: a $2,000 donation, which will allow the theater to offer 3-D digital movies.